We routinely feature interesting lists from other outlets here at The Adventure Blog, but this one might just save your life, particularly if you spend a lot of time in the outdoors. Popular Mechanics has posted a run-down of the 10 survival skills we all need to know, offering up some suggestions that should be common knowledge, along with a few you might not have seen before. The first couple of items on the list are definitely something that everyone should know in case of emergency situations. 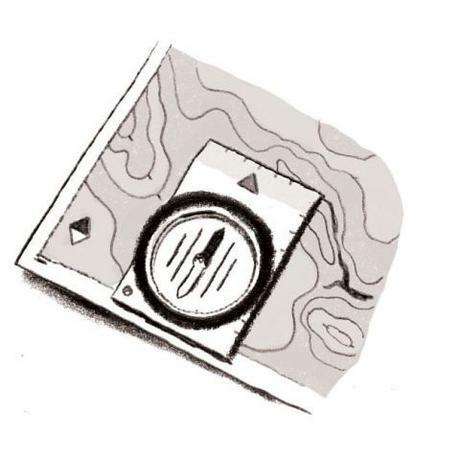 They include how to signal for help and how to orient a map. Other good tips inform readers on how to make clean water, what do do if their feet get wet and cold, and how to swim a long distance in freezing water. Other items on the list aren't quite so intuitive, but are helpful none the less. For instance, the article tells you how to make a fire using a gum wrapper and an AA battery and how to turn your car into a battery. Some of the items that make the list are no doubt things you already know, while others are no doubt things you've never even thought of. While reading the list I couldn't help but wonder when I might use some of the skills listed there, but then again you never know when a situation might arise where they could come in handy. There are definitely some items that every outdoor enthusiast should master, while others are a bit more obscure.